After having a lot of fun, adventures and traveling in the south and central Vietnam, one of my first stops in the north was Tam Coc in Ninh Binh region of Vietnam. 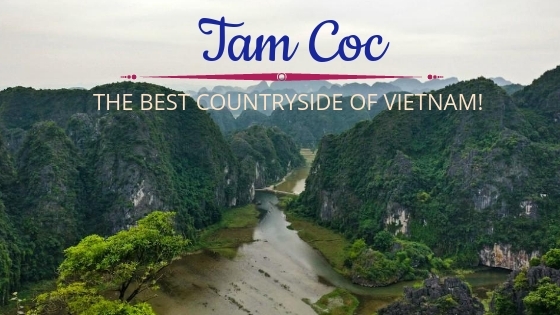 Despite being touristy, Tam Coc is unique because of its rural life, the rocky hills, the river and the lush greenery everywhere. I spent a good few days in Ninh Binh getting in touch with the countryside of Vietnam. I spent the first 2 days just cycling and roaming on my bike where I would stop by wherever I felt and watch the world go by. So for all those who want to get a glimpse of Vietnam that’s relatively untouched, Ninh Binh is the place to be. Here is all you want to know to plan your trip to Tam Coc, Ninh Binh. Tam Coc Boat Tours – Trang An or Tam Coc? Where to Stay – Ninh Binh or Tam Coc? 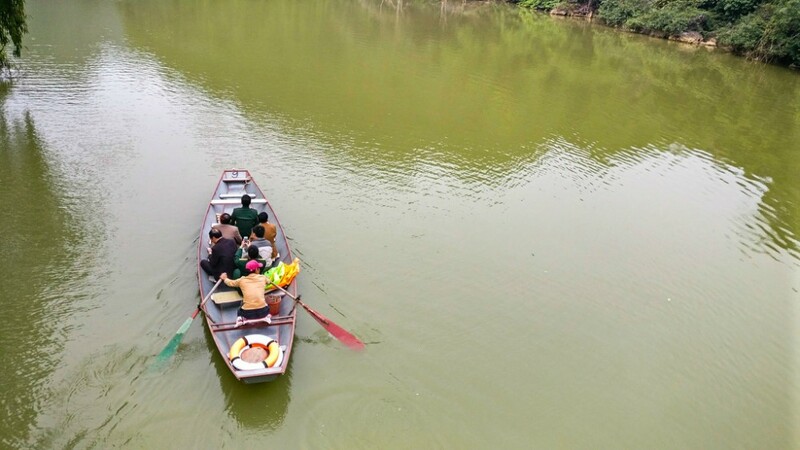 If you look up for the main attractions of Tam Coc or Ninh Binh, among the top things to do in Tam Coc would be the boat tours. And hence boat tours are obviously the most touristic of them all. Travelers have mixed opinion on this, and some people don’t like it for this same reason. Plus, the rates are expensive and the persistent boat riders that ask for hefty tips also make people avoid the tours. 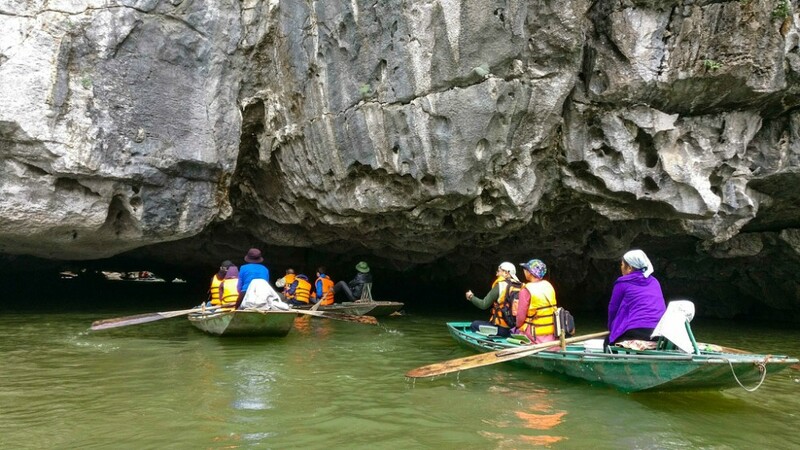 There are two boat routes in the Tam Coc region. Trang An and Tam Coc. The nearest one is the Tam Coc boat ride as it starts right at the city centre. The better one among these is the Trang An boat ride though. It is a 3-hour ride that takes you through the lush green fields beside the hills, and the natural beauty is at its best – raw and rugged to be precise. The Tam Coc boat ride is of lesser duration and for the most part, you’ll be within the town. It is lovely no doubt, but if you want to do just one of them, then I would recommend Trang An tour, hands down, I wouldn’t think twice about it! Did you know that the Ang Tran complex is a UNESCO heritage site? As for the time, pick up early morning or evening for this as it is less crowded and you’ll get more of the place for yourself. The ride costs 150,000 with your additional parking fees. Trang An is about 12km away from the centre of Tam Coc and you can reach there by your transport – bike or cycle. You can also book a cab as well. You’ll visit temples and caves during both the rides but can depend on the crowd or the rower as well. Tam Coc Boat Rides Quick Tips: You’ll be asked for money by the rowers, and people will try to sell snacks en route that is obviously expensive. Be polite if you want to refuse them. Get enough snacks and water if you are opting for Trang An. As for the tip, it’s up to you to give what you feel is worth it. Some people buy things for them as during the ride. 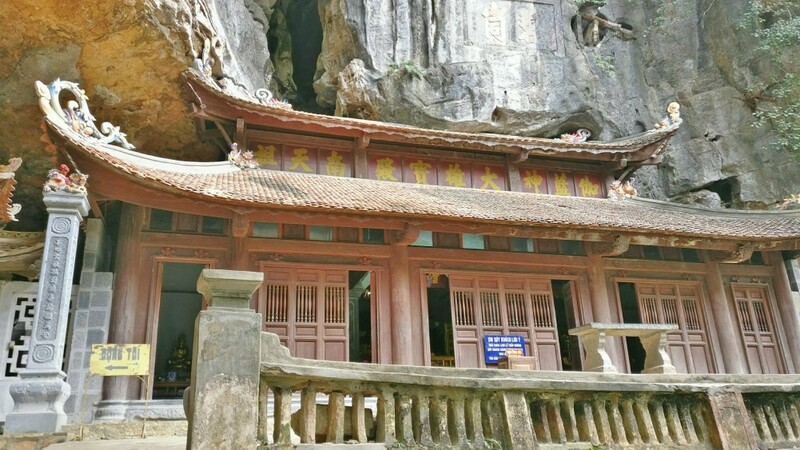 I was expecting to be swayed away by yet another magnificent cave when I heard about Hang Mua Caves. Having already been besotted by the beauty of caves in Phong Nha, it felt obvious to me. But Hang Mua is anything but the cave. Don’t get me wrong. There is a small cave at one end, named as the Tiger cave. And it is too tiny. I felt that they should rather make this place known for the hill. A rocky hill is dotted with 500+ stairs that leads you to the top, and from there, the panoramic view of the town of Tam Coc is too gorgeous. With absolute greenery on all the sides, you can see the rocky hills grouped until the horizon, with the river navigating in between. It felt so tranquil at the top that I lost track of time sitting there on a rock at the top. The best time to visit is early in the morning or just before the sunset to avoid the hot weather. But I was there during the rainy season, and was lucky to see the greenery that appears quadrupled thanks to the monsoon! The entry fee is 100,000 VND and I paid an additional 3000 VND for my bike. Unlike Bich Dong, Bai Dinh Pagoda is new and hence there is no historical background to it. But it is worth visiting if you have time and love visiting the Pagodas. The other thing it’s huge, and consists of thousands of Buddha statues. The entry to this temple is free but you’ll have to pay the parking fees. Hoa Lu is an ancient citadel located close to Trang An. Most people include it in their itinerary on the day they opt for Trang AN boating tour. The citadel used to be an ancient capital, and most of what remains are ruins today, which aren’t that grand. The drive to Hoa Lu by bike is worth it as you pass by lush green rice fields and hills. The entry is 10,000 VND per person. Tam Coc is surrounded by national parks that are itself huge and require time if you wish to explore in detail. Thung Nam is located an hour drive from Tam Coc, and it needs 2 to 3 hours to explore the national park. It has many places of interest within. But Thung Nam is best known for the bird sanctuary. There are small islands on one end, which is the habitat for wild birds. The best time to be here is in the evening when birds fly home. It was around sunset by the time I walked to the bird park. I saw a lot of flamingoes and other birds whose name I don’t know and loved watching them. I spent my time walking in the park and had to skip caves as there were closed due to rains. The entry fee is 100,000 VND, and I paid an additional 3000 VND for parking. Van Long reserve is a big national park, which is actually a wetland reserve, consisting of many grottoes, caves, rocky hills and islands home to birds and the wildlife. There is also a boat ride in the park, which is one way of going around the reserve area to spot for any wildlife. Depending on the time you have and your interests, you can choose from boat rides to hiking to climbing. It is a long drive from Tam Coc, and the total trip to Van Long reserve would take at least half a day. A lot of people short on time opt for a day trip to Tam Coc Ninh Binh from Hanoi. 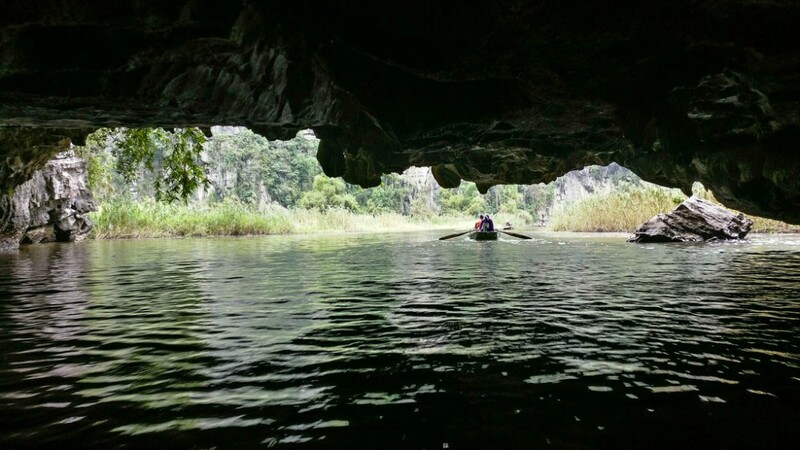 If you just have a day and are contemplating on whether to explore Tam Coc, then don’t think, just do it! It’s worth your time and you might also be left feeling that you needed more days! There are many options to do this day trip from Hanoi. If you rent a motorbike, you would be covering about 80 miles depending on how much you see. The cost would be between 100,000 to 150,000 VND considering fuel. The other way is to book tours – either private or group tours, which can be arranged at your hotel itself. I would suggest you take a bike if you love exploring as you can enjoy the beauty of Tam Coc better this way. If you are on a day trip, then start early and first head to Trang An for the boat ride in the morning. Since it would last for three hours, you’ll have the rest of the day for others. 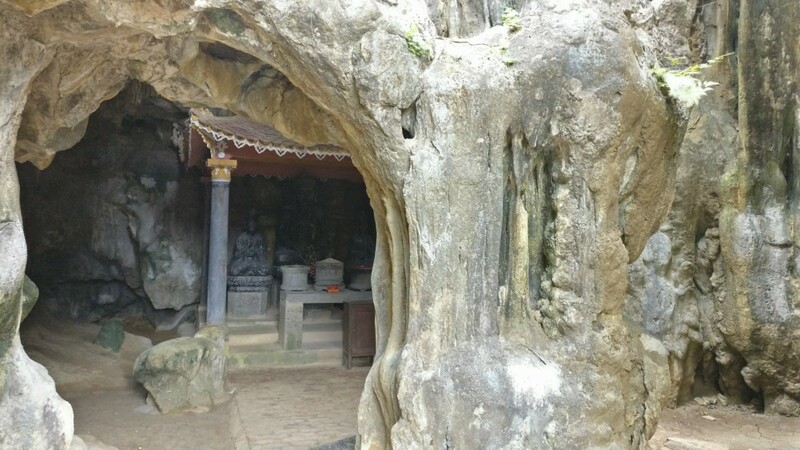 You can then head to Hang Mua caves post lunch, followed by Bich Dang Pagoda. If you still have time, you can head to Thung Nam and drive back to Hanoi, but this would be a bit of a long journey though. The other way to plan this day trip would be to head to either Cuc Phuong or Hoa Lu ancient citadel after the boating. If you have just one day to spare, start from the Trang An boat ride. Then head to Hang Mua while checking out Tam Coc rice fields on the way. There is a restaurant in Hang Mua but it is slightly expensive, and apart from that there isn’t anything to eat, so better get your lunch while in the town itself. You can then head to Bich Dong temple, which is close by. Start to Hanoi in the evening after an eventful day! Day 1: You can choose the above for day 1. You can cut down Bich Dong temple for the next day if you want to take it slow. Day 2: Head to Hoa Lu in the morning, and then check out Thung Nam national park. Keep around 3 to 4 hours to spend time there and 1.5 hours to travel and back. If you wish to do another boat ride, you can go on Tam Coc boat ride. Do it early in the morning if possible or push it to the evening to avoid crowds. Day 1 & Day 2: The above plans for 2 days should do. Day 3: You have the option of doing one or both of the national parks – Van Long reserve and Cuc Phuong, depending on how much time you plan to spend in each of these. You can include both if you start the day early, and leave to the next town in the evening. If you are traveling from North of Vietnam: You would be arriving from Hanoi, and you can reach by local bus, or take a bike or arrive by train to Ninh Binh. If you are traveling from South of Vietnam: You can take the bus or take a cab if you are traveling from Phong Na. There are plenty of buses from Danang or any other city from the south. As for trains, there are direct trains to Ninh Binh from Hue, Danang, and Dong Hoi. You can book any of the train tickets online in advance here. 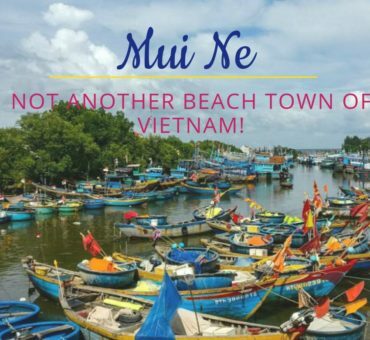 Recommended read: Mui Ne, Why This Isn’t Another Beach Town of Vietnam! 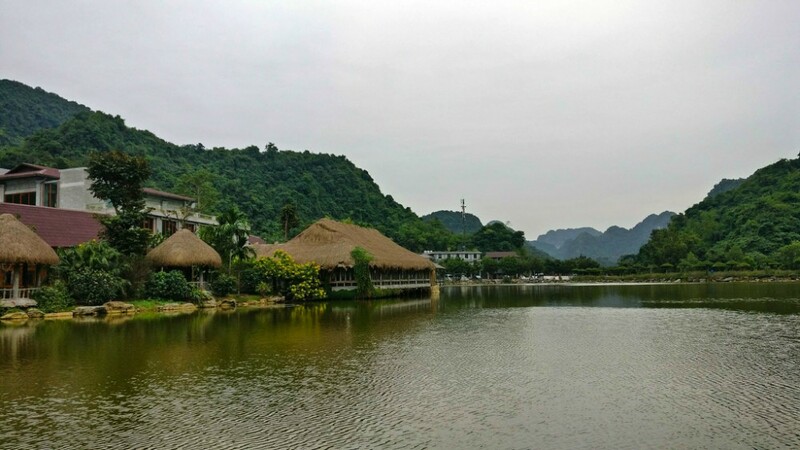 Most people traveling to Tam Coc Ninh Binh have this question – Where to stay? 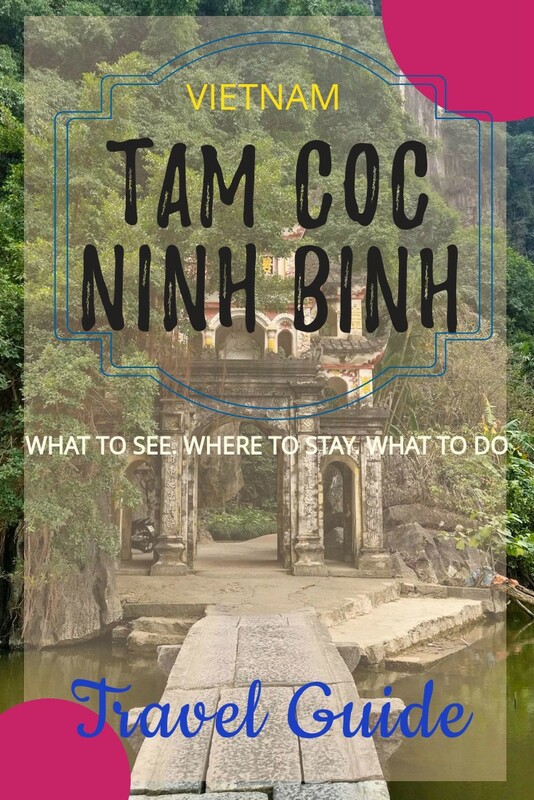 Should I go to Tam Coc or is Ninh Binh better? Tam Coc is close to most of them, but it’s also better and much beautiful as it gives you the small town feeling, surrounded by the abundance of nature. 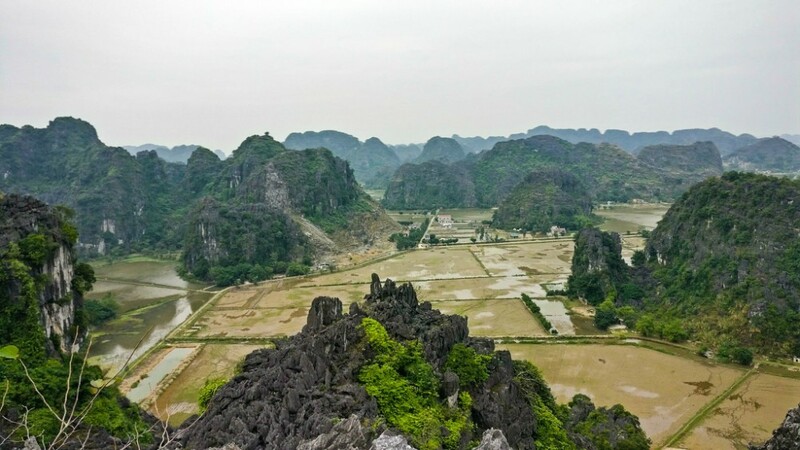 Ninh Binh has probably grown big and looks more like any city, so you would want to avoid staying there if experiencing rural Vietnam is on your agenda. 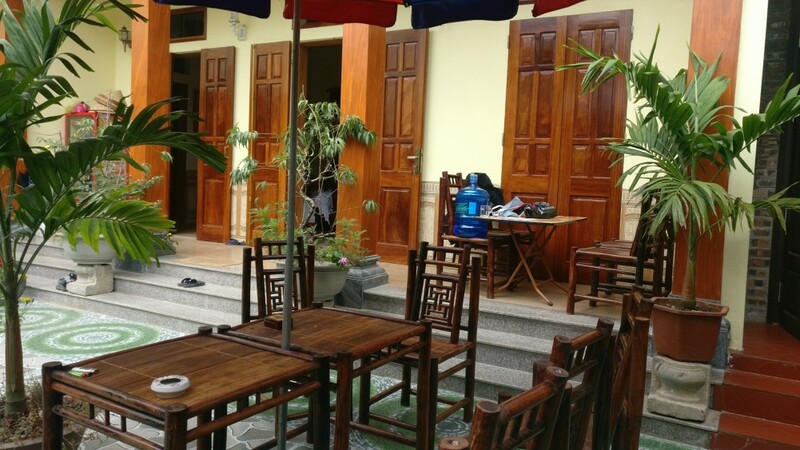 Hostels: The streets close to Tam Coc Boat ride is the centre area. There are many budget hostels if you are looking for good dorms/private rooms. I stayed at Tam Coc Smile Homestay, and the hosts were always smiling and warm – true to the name! I loved the place. 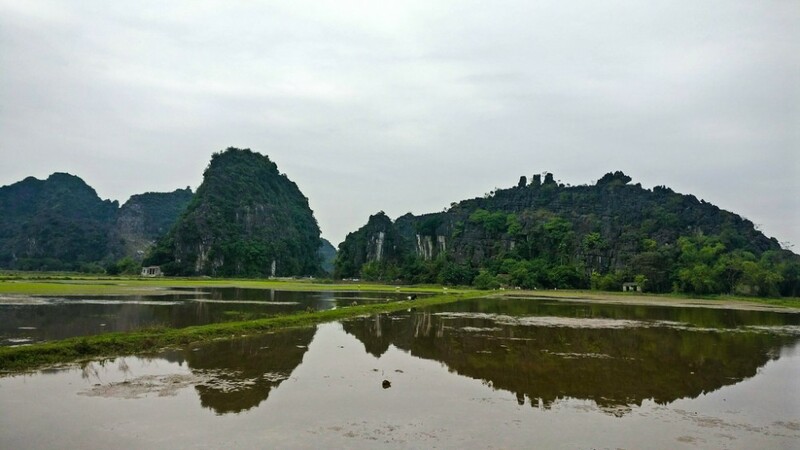 From June to October, even until the beginning of November, Tam Coc Ninh Binh region receives rains like the other regions in northern Vietnam, so right after this until March or April is a better time to visit Tam Coc. I traveled in November, and there were storms and rains. I had some time, so I could wait for the clear weather, but the rains transformed the fields and the hills to dramatic, postcards like landscapes! 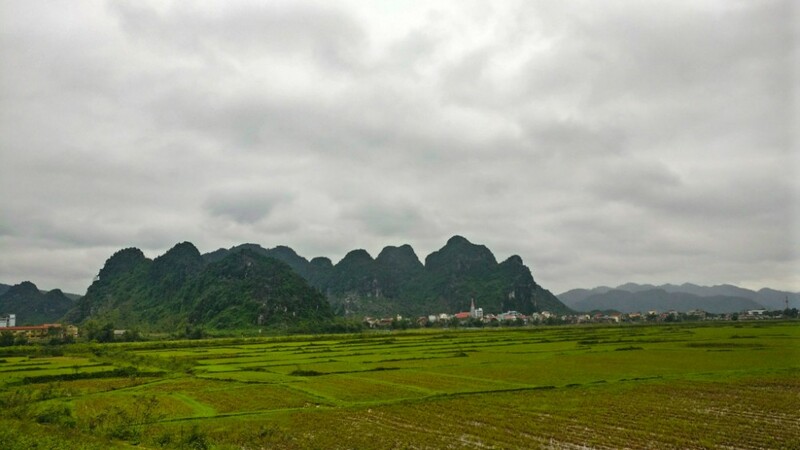 The first place that I can think of when I reminiscence on Vietnam’s countryside is Tam Coc. 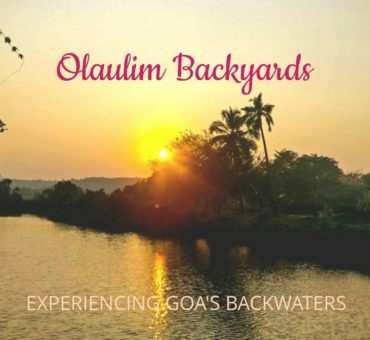 Even if just for a day, don’t miss to travel to this gem of a place! Mui Ne - Why It Isn't Just Another Pretty Beach Town of Vietnam!